Emilie Brzezinski is the subject of a career-spanning monograph titled Emilie Brzezinski: The Lure of the Forest - Sculpture 1979-2013. Published by D.A.P. / Distributed Art Publishers, Inc., the monograph features Brzezinski's entire career oeuvre in full-bleed photographs. 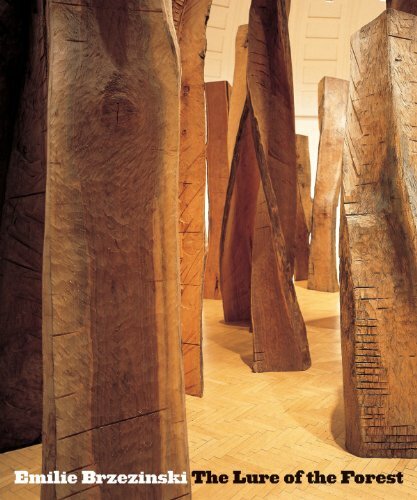 Highlights include her magnum opus Forest (1997–2005), a monumental work composed of 46 tree trunks, and Family Trees (2010–2013), in which she combines sculpture and photography to create a vivid portrait of her family members. In addition to contributions by art historians John Beardsley, Barbara Rose and Aneta Georgievska-Shine, the book includes an introduction by Mika Brzezinski, co-host of MSNBC's "Morning Joe", and the artist's daughter. Hardcover, 10 x 12 in. / 200 pgs / 180 color / 20 bw.